An index plate will be mounted to the gearbox input shaft to lock out accidental rotation of payload. (C10) – Ø10” X 3.25” wide phenolic wheel casters with steering bar receptacles, brakes and swivel locks. The kit comes with (quantity 4) steering bars and steering bar stowage features mounted to the base frame. 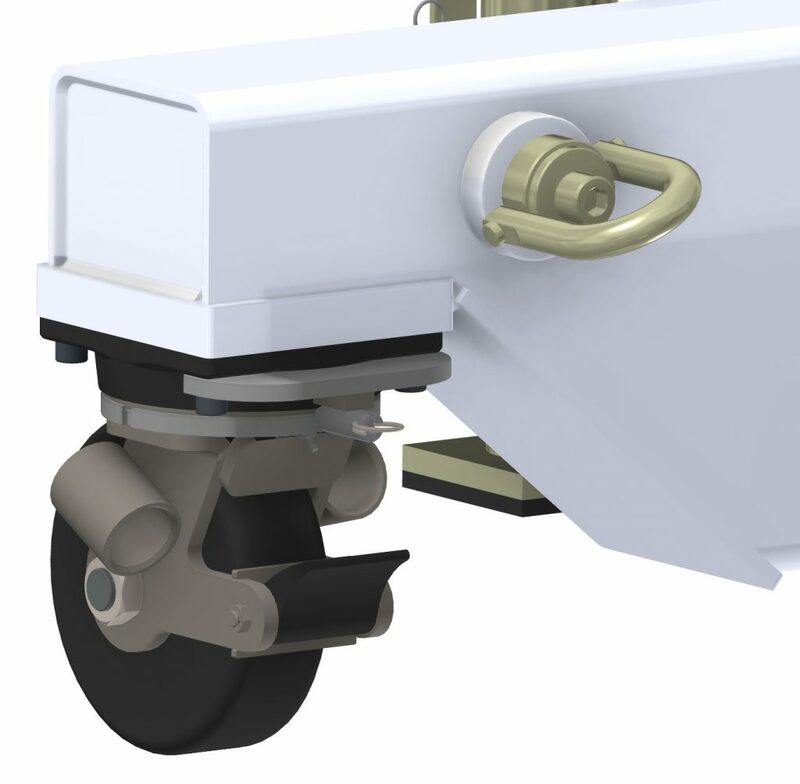 (C12) – Ø12” phenolic casters with steering bar receptacles, brakes and swivel locks. The kit comes with (quantity 4) steering bars and steering bar stowage features mounted to the base frame. (J0) Mounting plates only for jacks are provided. (J1) (Quantity 4) jacks are provided with removable hand cranks to prevent accidental rotation. 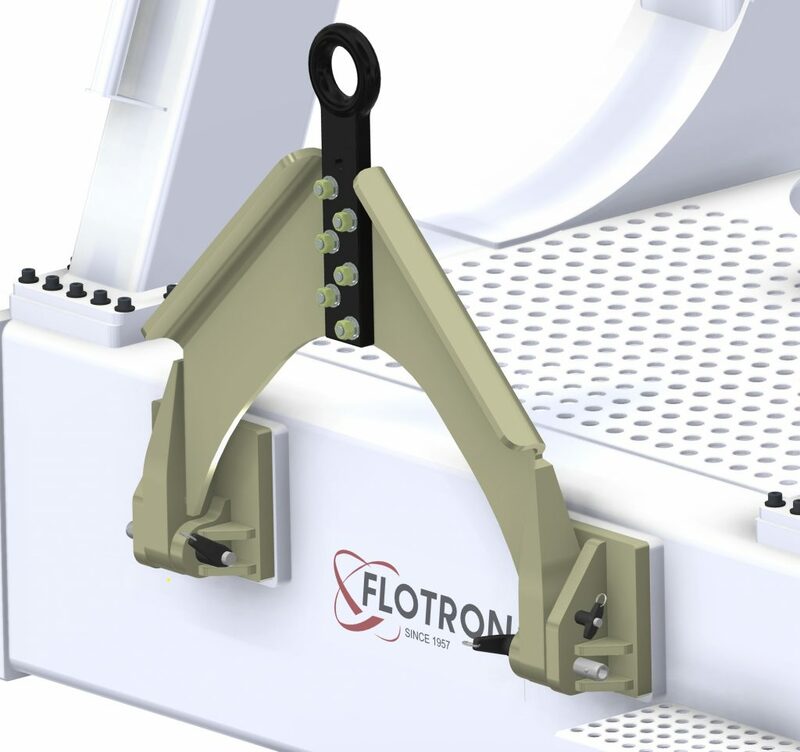 The jacks have six inches of stroke and can be used to level the Flotron fixture on uneven terrain and increase stability. Braycote 601EF ‐ The caster swivel bearings are lubricated with Braycote 601EF. A removable tow bar is included which can be pinned (stowed) in the upright position when not in use. The tow bar uses a standard Ø2.75 ID X 1.25” thick lunette ring to interface the tow vehicle. Adding the secondary axis of rotation option gives the operator the ability to both tilt and rotate the cantilevered payload. 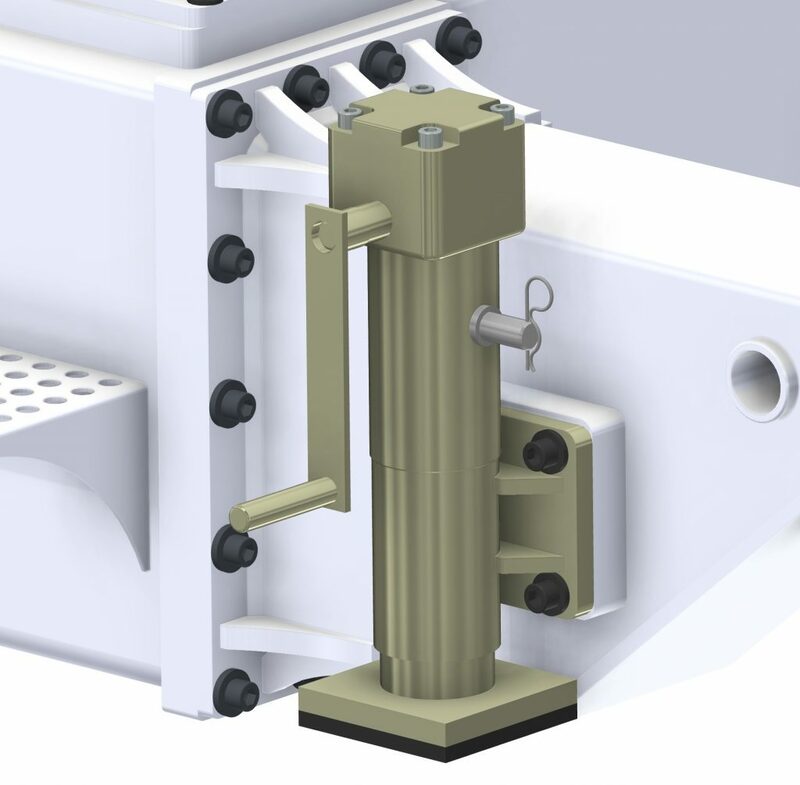 Dynamic proof load test (360° rotation of primary axis & secondary axis if applicable). 200% moment load on payload interface, 100% torque. Hold load for 5 minutes every 90° (minimum). Visual inspection only for cracks, deformation, etc. A deliverable proof load test report will be provided. 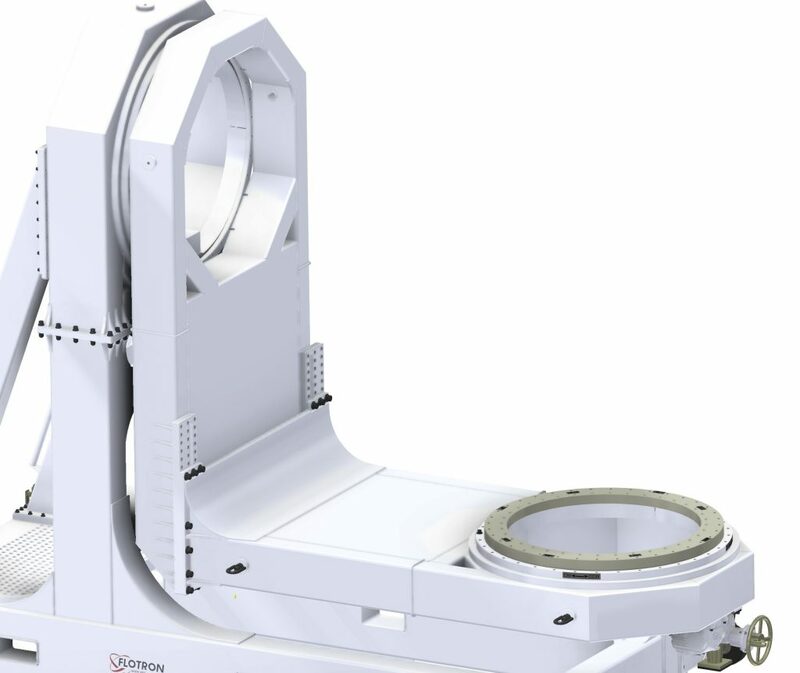 The report will include a summary of the test procedure, actual measured weight of load applied, inspection results, and images of the test being performed.